Now that it’s colder, it’s time I start using my Épices de Cru spice blends. 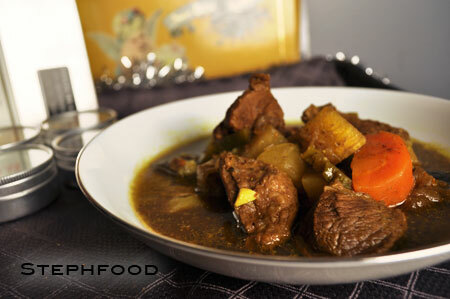 The first dish I made is a stew that comes right from their website, with lamb and a few root vegetables. 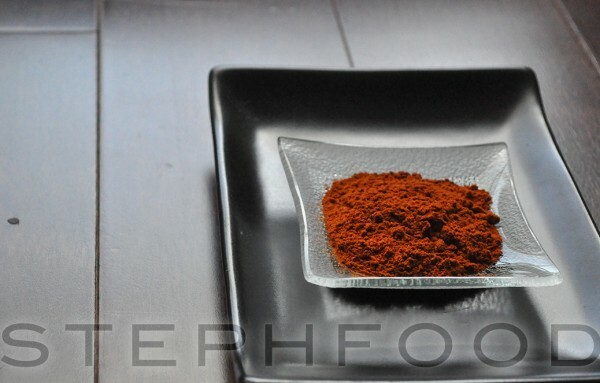 Berbere is a staple spice blend in Ethiopian cuisine. Made up of a number of spices that are roasted and ground, the primary components seem to be fenugreek seeds, cayenne pepper and paprika. The ratio of cayenne to paprika control just how hot the berbere becomes. Sometimes written as ber-beri (which gives you an idea of how to pronounce it, almost like ‘Burberry’), it imparts a warm red colour to any dish that uses it as the primary seasoning. 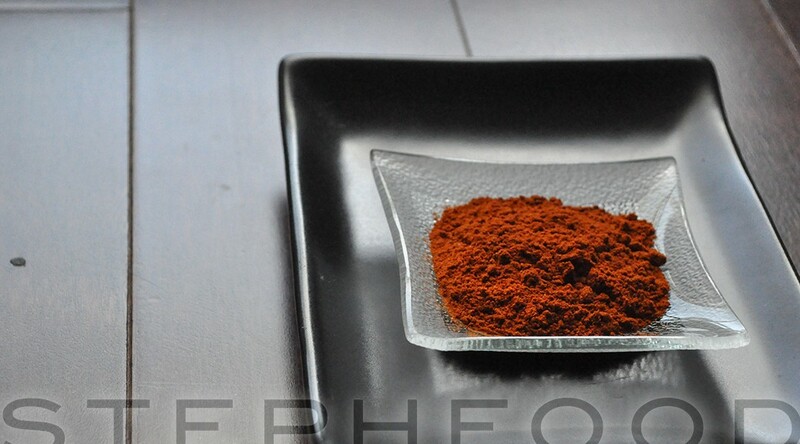 Berbere is also used to make a strongly flavoured condiment, called Awaze. 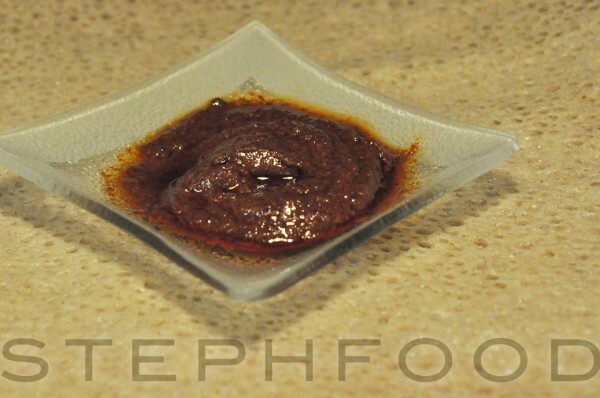 A mix of berbere, garlic and wine, it is a deep, dark, spicy paste that can be used for dipping. This condiment is one of my favourite additions to my Ethiopian platter, adding an extra kick in combination with the injera (bread) and stews. Watch for the Friday post for details of my attempt at making an Ethiopian platter! Sooo good! Awaze – a deep and spicy paste to liven up your meal! In small bowl, mix the berbere, mitmita (if included), garlic powder, black pepper. Add wine (or sherry or tej), oil, lemon juice, ginger juice, water, salt to taste; whisk it well. Keep in the fridge; serve it cold. 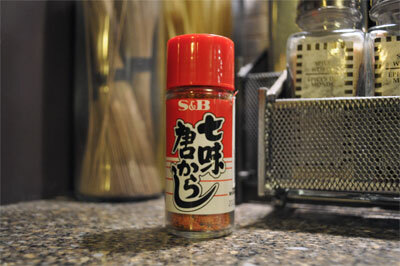 Today’s featured item from the spice drawer is a Japanese spice blend that may or may not be called ‘Nanami Togarashi’. This name doesn’t appear anywhere on this bottle, and similar blends from other brands have different names (another one I saw was called ‘Shichimi Togarashi‘, seems to have the same ingredients. Hm. Wait – Google to the rescue here.) Nanami Togarashi is generally made up of chili pepper, orange peel, sesame seeds, japanese pepper (sansho – tastes almost lemon balmy), seaweed, etc. This stuff is amazing, and I’m totally addicted to it. In Japanese restaurants, they usually offer this to sprinkle on your soup. Once I discovered it, I started to put it on everything even remotely Japanese inspired. My favourite use is on stir fried udon noodles. 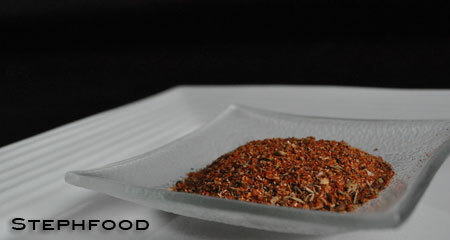 As it is primarily made of chili pepper, it does add a bit of heat, so be careful when adding it to dishes. The inclusion of citrus and the almost citrusy tasting Sansho pepper give it a nice tang. Nanami Togarashi isn’t available in most grocery stores, and can commonly be found in Japanese supermarkets and some pan-Asian supermarkets. I used to only be able to find the tiny bottles of it, and had even asked one of the grocers about whether I could order bigger bottles. At the time, it seemed that you couldn’t get it in any other size. On my most recent trip to Sanko, my favourite Japanese grocery store here in Toronto, I was pleased* to find not only a larger bottle, but also a large bag of Nanami Togarashi. I bought one of each. Next time you see one of these cute little red bottles, give it a try!